The Crystal Visions Tarot was created with the intention of combining art that is unique from traditional systems, yet straightforward enough to make it easy for new readers to learn the Tarot. 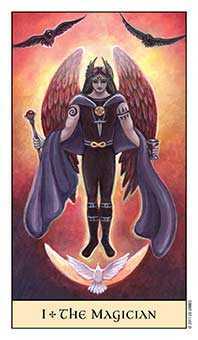 Since many readers have come to form strong associations with the Rider-Waite deck, the Crystal Visions Tarot remains true to this classic 78-card system in much of its symbolism, as well as in card and suit names and numbering. Within the deck, each suit has a vibrant and consistent color scheme, in order to be easily recognizable within a spread. 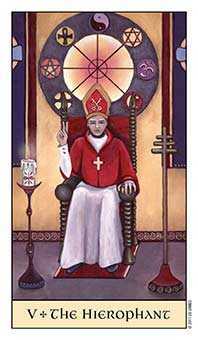 Symbols and imagery are also used to represent the elemental aspects of each suit in order to aid the novice in forming associations with the cards, and the individual suits. 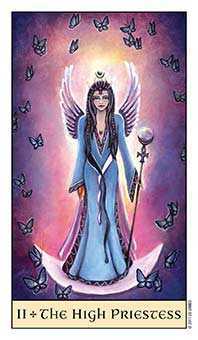 The name, Crystal Visions Tarot, was inspired by singer/songwriter Stevie Nicks’ CD, Crystal Visions, which was released right around the time Jennifer was planning the deck. 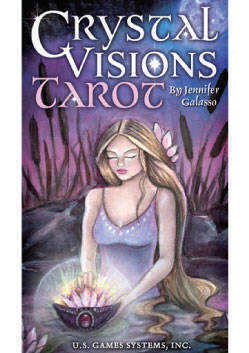 Upon hearing the title of the CD, it resonated with Jennifer as a possible title for her Tarot deck. Jennifer attributes much of her initial interest in the spiritual realm to Stevie’s haunting voice, ethereal nature, and poetic lyrics. 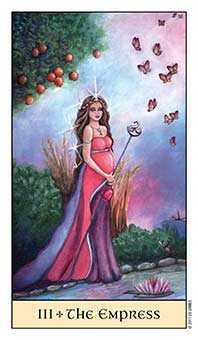 The artwork of Crystal Visions Tarot also incorporates Jennifer’s interest in crystal balls. 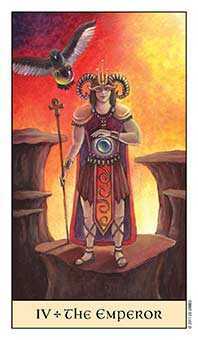 Although Tarot and scrying are different forms of divination, “Crystal Visions” has a double meaning in that it also suggests clear visions, which she thought was very appropriate to the Tarot. Jennifer is a fantasy artist and illustrator, so the artwork of the deck is fantastical, with many of the images derived from the elements. 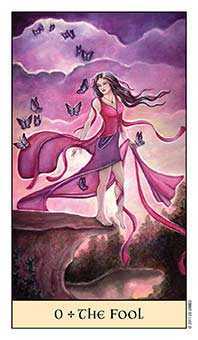 Although she wouldn’t necessarily label it a Faerie deck, much of the imagery is suggestive of the Faerie realm.